Waverley Labs develops digital risk management solutions supporting ManTech’s role as a prime contractor to a large Federal Agency. The Agency’s mission is to establish an overall cyber security governance program with emphasis on continuous diagnostics of risks to perform the most cost-effective risk mitigations. Related to this, the Agency provides other Federal Government agencies with a list of approved IT security tools to maintain rigorous standards and compliance requirements. 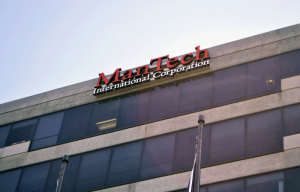 ManTech’s role is to provide a holistic, risk-based decision making process, based on the NIST Cybersecurity Framework, at the agency and Federal enterprise level to ensure optimum selection and use of the security tools as agencies seek to reduce their risk profile. Waverley Labs’ digital risk management solution enables ManTech to automate the analysis of applications and assets to identify critical points of failure. Waverley Labs’ outcome-based approach, in concert with the NIST framework, facilitates an agency to choose and match the right cyber security tools for mitigating and lowering the risks identified, and in what priority. Need to quantify & prioritize your cyber risks for mitigation based on expected business impacts?